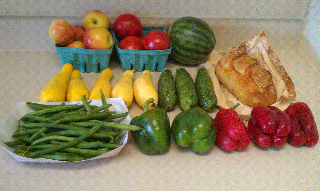 I'll be posting this week's other two recipes tomorrow and Friday, but in the meantime, I wanted to share what came in our CSA box today, because it's all just so pretty. 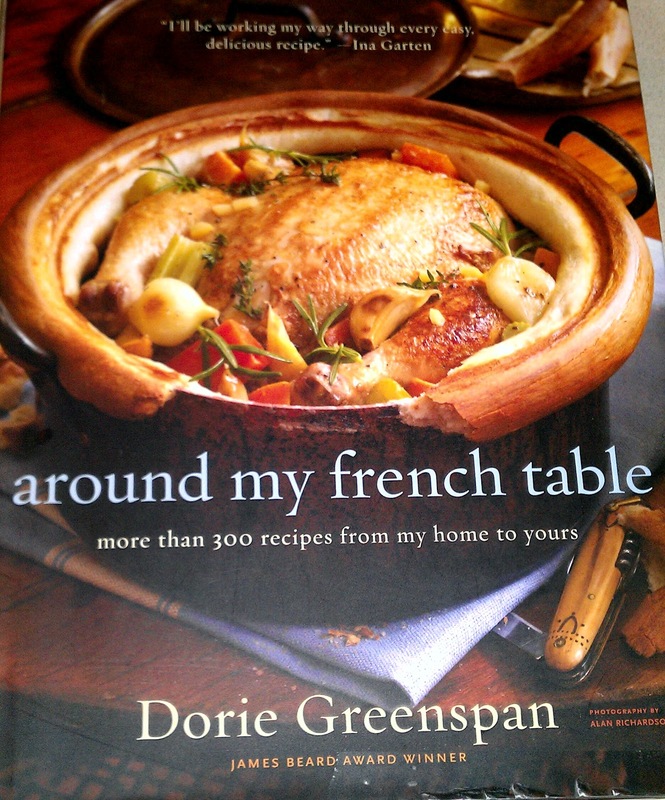 I bought this cookbook because I fully intended to get involved in this fabulous online community called French Fridays with Dorie. Every week, they make something out of this cookbook and then share their blog link on the French Fridays homepage. Unfortunately, as it happens, life got in my way. The job I had at the time didn't allow me much money to buy a lot of the extra and random things needed for the recipes, and the project fell by the wayside. 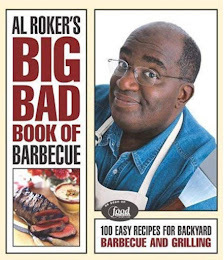 There are a couple recipes out of this cookbook that I love, and I'm finding more as I read through it again. Today's offering is hummus, which actually confused me at first, because. . .hummus isn't French. But who am I to question Dorie Greenspan? 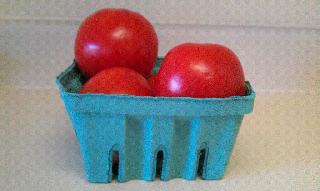 1 can chickpeas (or garbanzo beans. . .they're the same thing! ), drained. Save the liquid. Put chickpeas, garlic, tahini, and lemon in a food processor and. . .process until smooth. Add the reserved liquid a little bit at a time until you reach the desired consistency. Add cumin, salt, and pepper, and give it another whirl. The pita chips are Dennis' creation. A few months back, we were having hummus and some other stuff for dinner, and I'd bought some pitas. Dennis said, "I think I'll make some pita chips out of these," and I said, "I'll just eat mine plain." About 10 minutes later, I was handing him my sad pita and saying, "Would you. . .make this into chips please?" Cut the pitas into triangles by cutting them in half, cutting those halves in half, etc. until you have the size and number of chips you want. Place the chips on a foil-lined cookie sheet and spray with olive oil. (You can also drizzle the oil, but I've found it's much easier to spray them.) Sprinkle with salt or garlic salt. 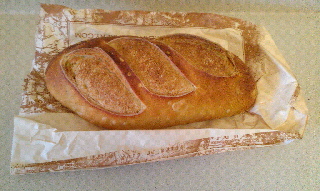 Bake for 5 minutes or until the edges toast to light brown. Today ends the week of Mickey. As of right now, I'm not entirely sure how I'll end up formatting this blog. My original plan was to take each of my cookbooks and make three things a week out of them -- a main course, a side, and a dessert. But then I started looking at how many cookbooks I actually have, including small, product-specific cookbooks and cookbooks that are strictly cookies and cupcakes, and this one weird cookbook that's mostly science-experiment type things. So I don't know. 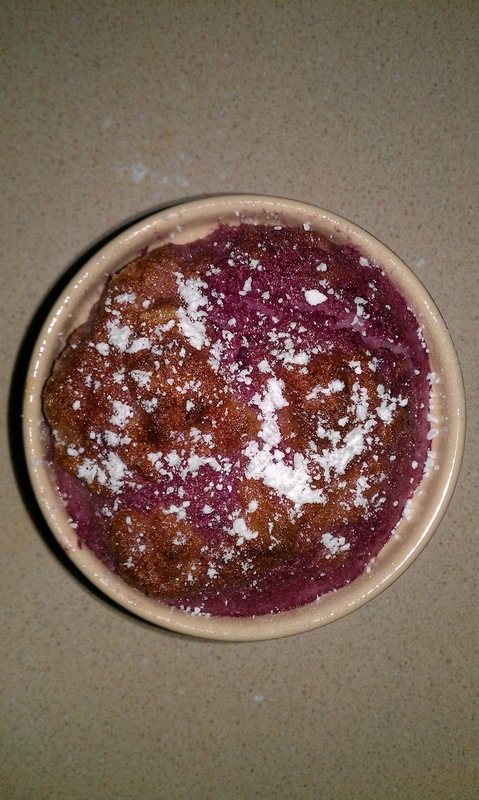 But for now. . .we soufflé! 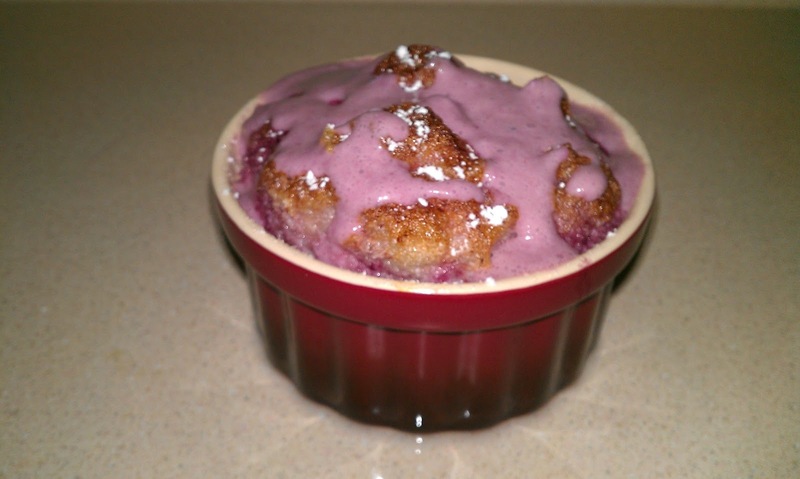 Soufflés have a bad reputation of being notorious for falling in the middle during baking. As such, I wouldn't let Dennis walk in the kitchen while they were baking (it only took 20 minutes!) and I walked around on the sides of my feet and opened and closed cabinets and drawers very carefully. And they didn't fall! I'm not sure what they were supposed to look like, but mine weren't sunken in the middle, so I'm going to call that a win. This is a fairly time-consuming recipe, so you should know that beforehand. It's also a grand moment of "Holy crap, I did it!" when they come out. So, worth it, I think. Mix the sugar and flour in a saucepan and blend in milk. Add both the egg and the egg yolk and mix. Cook this over low heat, stirring constantly, until it thickens to be custard-like. Set aside to cool. Thaw and drain raspberries. mash with a fork, combine with the liqueur and cook until the combination is the consistency of jam. Strain and cool. 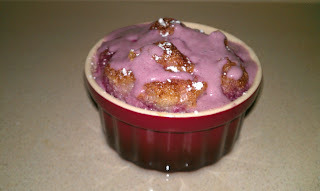 Combine 3/4 cup custard with the raspberries. 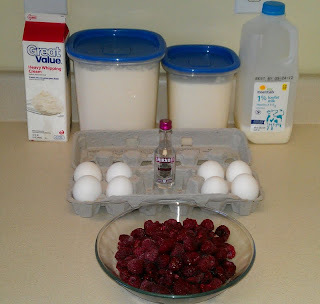 Beat egg whites until they are very stiff (I used my mixer.) and fold into the raspberry-custard concoction. Set aside 1/4 cup of the mixture. 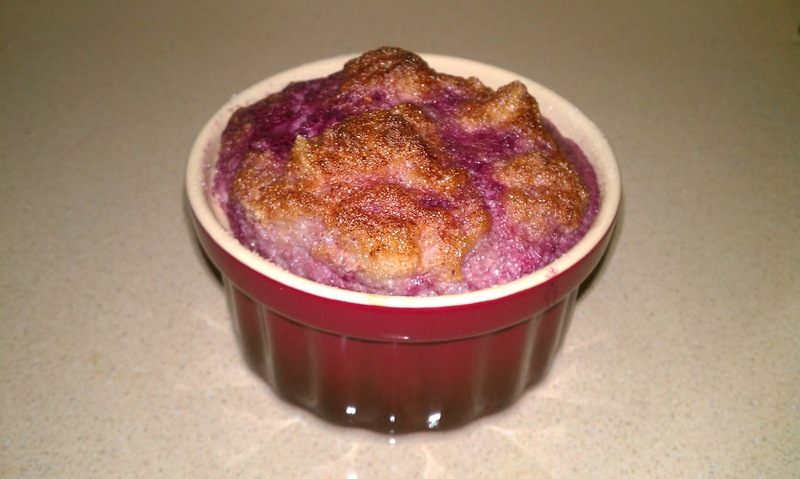 Lightly butter and coat with granulated sugar four 8-ounce soufflé dishes. Put the dishes in a pan of hot water, being careful to not have the water spill over into the dish, and bake for 20 minutes. 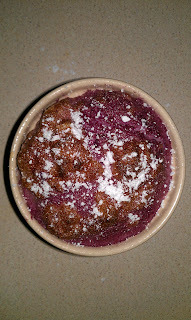 Serve immediately after dusting with confectioners' sugar and pouring on a sauce made of the remaining 1/4 cup raspberry mixture combined with 1 tbl. cream. 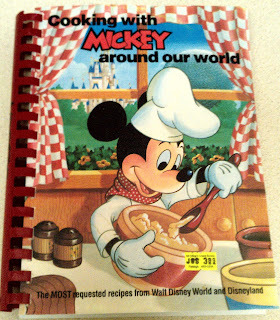 I decided to start this project a few days ago, after the grocery shopping had already been completed, and so I had to get a little creative with what I'm making out of the Mickey Cookbook. It had to contain stuff we already had around the kitchen. We had tortellini from Trader Joe's (I'm madly in love with Trader Joe's) for dinner last night, and we needed something to go along with it. 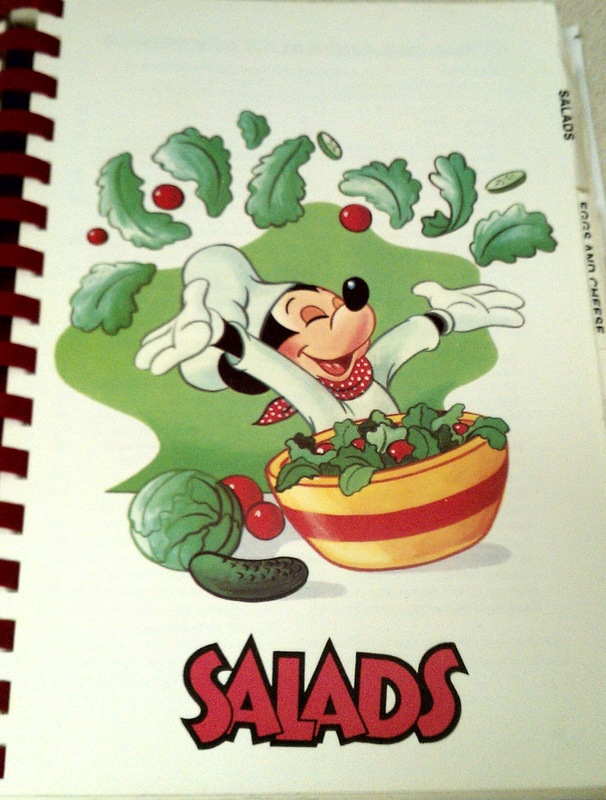 Some kind of vegetable was needed, and that vegetable was found in the form of a Caesar Salad, apparently from Disneyland's Club 33. I don't know how much you know about Club 33, but it's this exclusive restaurant within Disneyland's New Orleans Square with a waiting list to join that is years long and membership costs in the thousands of dollars. You have to be invited by a member to go in and have a meal. Needless to say, I've never been. I didn't make my husband join a waiting list of pay me thousands of dollars to have dinner (Although, maybe that's a good money-making venture. . .), but I did make this salad from Club 33. 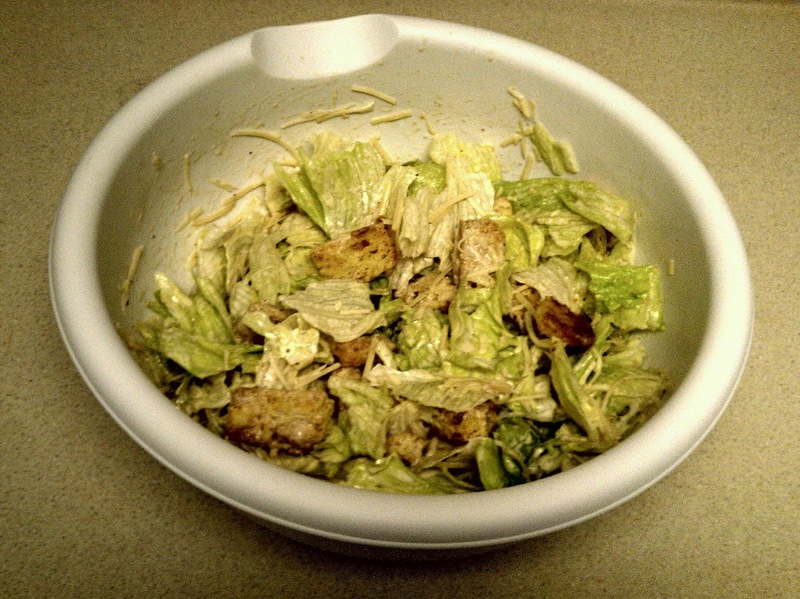 I used a completely different recipe to make the croutons that I put in the salad, but I'll include that as well. (I made mine with fresh cheddar garlic bread I received in last week's CSA box. Those croutons were AMAZING. 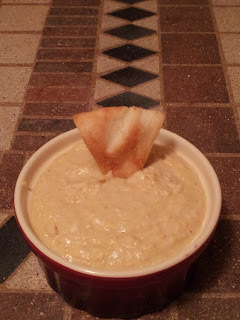 One other note: The recipe in the cookbook called for a coddled egg to be put in the dressing. A coddled egg is one that has been very slightly boiled for about a minute. I didn't know what coddling an egg meant until I looked it up, and I was informed that you should use very fresh eggs, and even then, there's still the slight risk of salmonella. Since my eggs came from Aldi and not a nearby farm, I decided not to risk it, and used mayonnaise instead of an egg. I think it turned out even better than it would have with a possibly-undercooked egg. Dennis looked thoughtful when he took his first bite of the salad. I thought something was wrong, but he told me he just wasn't used to all the rich flavors. Overall, I call this a win. 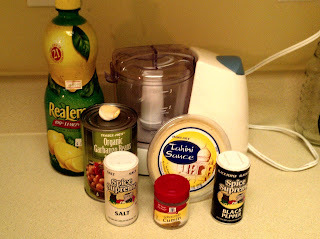 Combine a couple shakes of pepper, crushed garlic clove, mustard, mayonnaise, vinegar, and Worcestershire sauce in a bowl. Set aside. Tear lettuce into medium-sized pieces. Add croutons to lettuce and squeeze some lemon juice, either fresh or bottled, over the bowl's contents. Mix lightly. 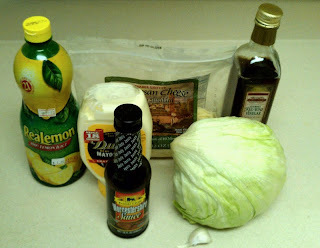 Add the dressing mixture and mix well. Sprinkle cheese on top and serve immediately. 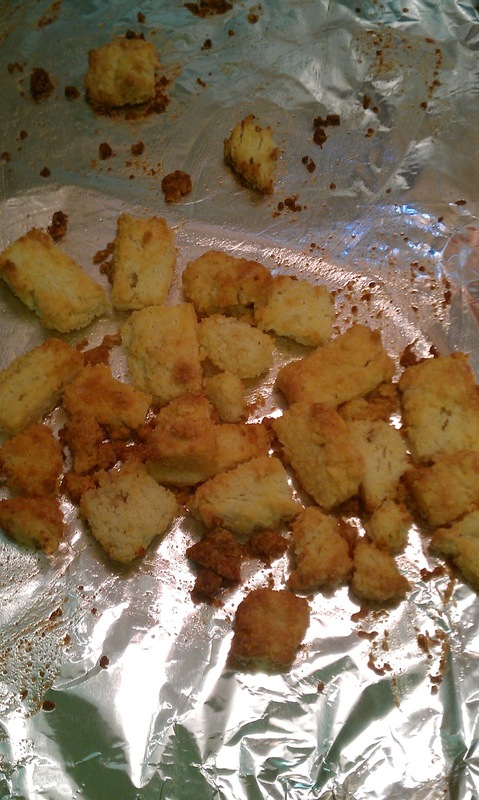 And to make the croutons. 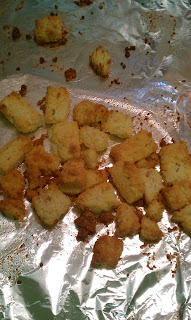 . .
Cut the bread into 3/4-inch cubes and set aside. In a large skillet, melt the butter, then remove from heat. Stir the cheese and garlic powder into the butter, then add the bread cubes and stir until everything is combined. Spread the bread cubes in a single layer on a cookie sheet. Bake for 10 minutes. Remove from heat and stir. Put them back in the over and bake for 10 minutes more. Cool completely. These are DELICIOUS. My inaugural cookbook choice is one that my dad had in the kitchen when I was growing up, and that I loved to look through, just for the illustrations. It's called Cooking with Mickey Around Our World, and it is a collection of the most-requested recipes from Disney World and Disneyland. 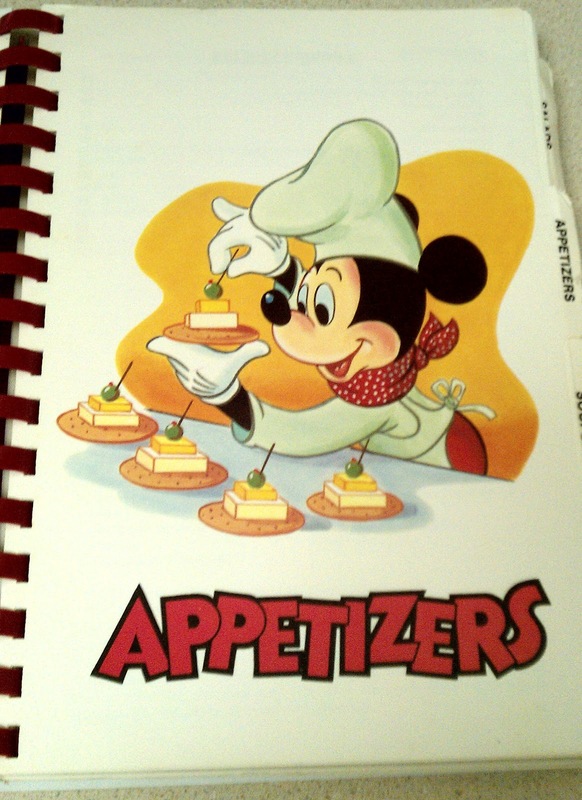 (At least, the most-requested recipes circa 1986.) My absolute favorite part about this book is the illustrations, both on the cover and on the divider pages. I got it for four bucks at a used bookstore. WELL worth it. I'm not sure what Mickey's cooking, but it. . .doesn't look too appetizing. In case you couldn't tell, I LOVE these illustrations. They're old, but still adorable. The recipe I made was the Cheese Quiche (page 103). I found this recipe a few weeks back when I had an extra pie shell to use (even though the recipe gives you the page number for a pie shell recipe. . .I prefer to just use the pre-made frozen ones). I made a few changes, but the same basic idea is still the same. It came out looking lovely. Please excuse the charred pile of egg in the top left of that picture. That is exactly why I bake these with a cookie sheet under them. My husband took a bite of this and said "That's. . .a lot of cheese." And the way I make them, it is. But I also think he was OK with that, because he gobbled down his piece and got another. As with almost everything I make, the amounts of cheese (and, in this case, zucchini), are subjective. Preheat oven to 350°. Whisk together half and half, eggs, and salt. Set aside. In the pie shell line the bottom of the pie shell with 2-4 slices of Swiss cheese. 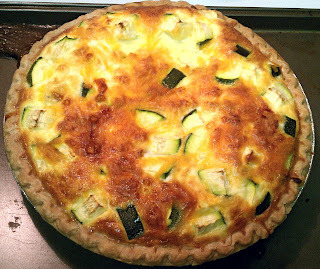 Mix other cheeses in pie shell, interspersing the zucchini bits if you're using them. The original recipe calls for 9 oz. of the first two cheeses and 4 oz. of Parmesan. I don't measure them, but put in a handful or two. Sprinkle nutmeg over the top. Place the quiche on a cookie sheet to catch spills and bake for 45 minutes or until a knife inserted in the center of the quiche comes out clean. Mine actually baked for an hour. Check it at 45 minutes. 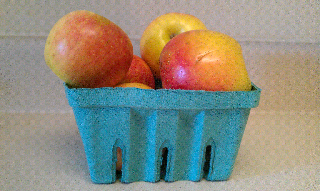 When thoroughly baked, remove from oven and let the eggs set, about 10-15 minutes.